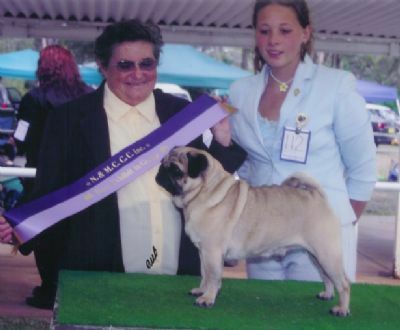 Billy has been awarded many group and in show awards in NZ, including Best and Reserve Best In Group and Baby Puppy and Junior In Shows at all breeds Ch shows and won Reserve Best Dog at the Auckland Pug Club Championship under Pug Specialist, Mrs B Roberts (USA). Early 2003 saw Billy fly to us, he lives with Nicole Holloway, owned by Mr R & Mrs J Dunn and handled by Ms L Johnson. Billy has had considerable success . Billy gainned his Australian Championship within 8 weeks of hitting the show ring here in Australia & then has gone onto gain his AUSTRALIAN GRAND title. 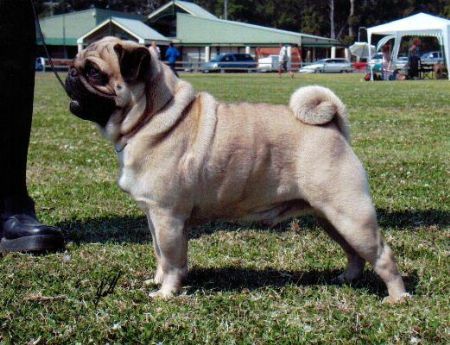 In 2004 Billy was the Number 1 Pug in NSW in the Dogzonline pointscore. Billy has been awarded many group and in Show awards in Australia. We Thank all those judges that have seen the great qualities of Billy. In such a short time this little dog has done us proud. 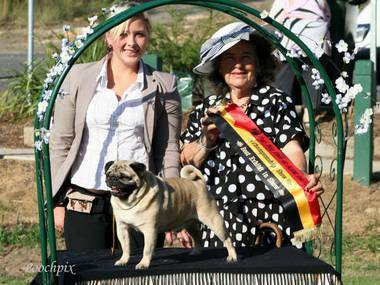 Billy's owner in NZ is Ms Penny Ward from Glomar Pugs. 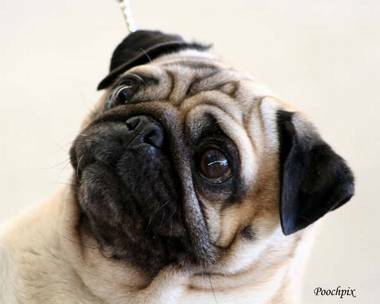 We thank Penny for letting us own such a wonderful pug. 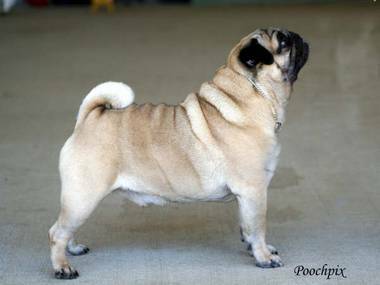 BILLY SHOW CAREER SPEAKS FOR ITSELF WINNING IN ALL CIRCLES FROM A SPECIALTY BEST IN SHOW TO MULTIPLE ALL BREEDS BEST IN SHOWS.